Writing on the back identifies the woman on the left to be Mabel Hartwell (Winn) and the baby in her arms to be Arthur H. Winn. The other woman on the right is Nina L. Winn. 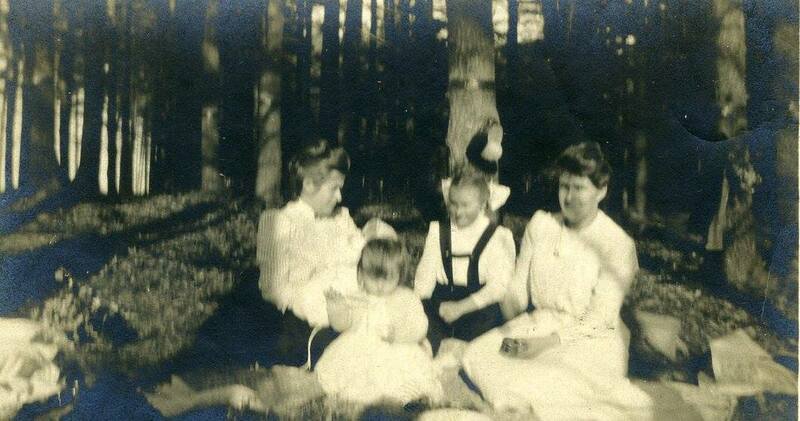 The young girl in the middle of them is Katie Haverty McCall and the young boy in the front is George A. winn Jr.